Inside Capitol Hill’s herbal apothecary Sugarpill, owner Karyn Schwartz casually sits on a wood step she half-jokingly calls her “office.” She’s chatting with another local shop owner who’s anxious about an upcoming presentation. After a brief chat, the shop owner heads off to her meeting with a smile. “I didn’t sell her anything, I’m just helping people do what they do,” Schwartz said. 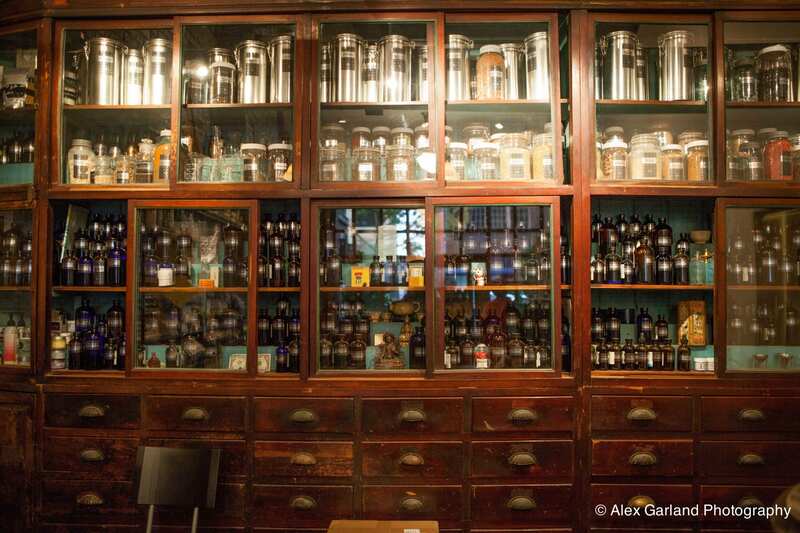 Since opening in February 2011, Schwartz has been Pike/Pine’s go-to shop for herbal remedies and time-honored health wisdom. With flu season and the holidays upon us, Schwartz is getting ready for a rush of activity — over the next two months Schwartz said Sugarpill will do about half its business for the year. For those new to the world of herbal remedies, Sugarpill could be an intimidating place would it not be for Schwartz’s earnest listening and easy-going attitude. Small, dark tincture bottles fill a massive wooden medicine chest behind the shops front desk — a disorientating product display for those accustomed to buying brightly packaged medicines emblazoned with “cough,” “fever,” or “joint pain.” (Note, Schwartz had that medicine chest shipped from Thailand after she saw it in a Chinese herbal remedies shop.) After spending years in private practice as an herbalist, homeopath, and masseuse, Schwartz said she grew frustrated with the traditional client-patient relationship. Instead of having paying clients, she said the shop allows her freely consult with anyone who comes in the door. If you come down with a cold, Schwartz’s first piece of advice is simple but difficult for most: just stay home. “If you get sick, let it happen. Drink fluids, stay warm,” she said. A big pot of simple homemade chicken soup can do wonders, Schwartz said. Aside from colds, Schwartz said Sugarpill’s offerings can be most effective for acute illnesses and some longer-term issues like insomnia and depression. After a discussion (or five) Schwartz may recommend a tincture filled with a mix of glycerine-infused herbs. She may also tell customers to seek out a doctor. 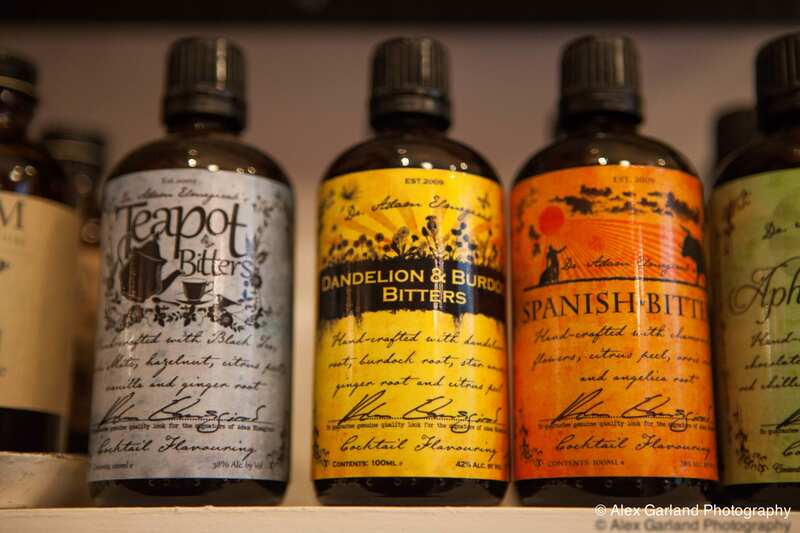 Sugarpill also embraces the boozier side of herbal infusions, will a solid supply of local craft bitters and tonics, which can also be taken straight as digestive supplements. Locally made teas, salts, chocolates, and gifts round out the shops impressive offerings packed into Sugarpill’s small but somehow uncluttered space. 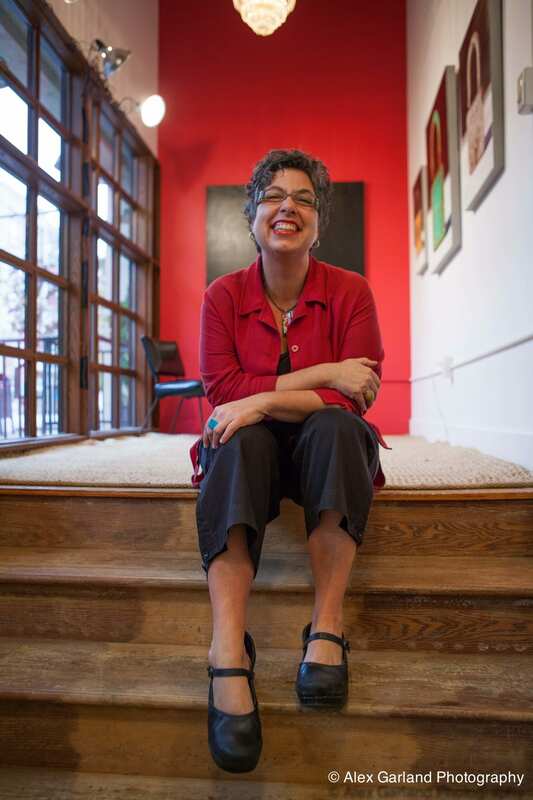 Schwartz’s interest in holistic healing began in college, in the early days of the AIDS crisis. Her roommate at the time had recently died from the disease. Following her friend’s death, Schwartz said her doctor told her to stay away from gay people. Schwartz, gay herself, was outraged. On her way to moving to San Francisco from upstate New York, Schwartz made a pitstop in Seattle to see a friend. Thirty years later she’s still here. One of the first people she met was a local herbalist. “The health issues I had for 20 years were resolved where western medicine did nothing,” Schwartz said. From there Schwartz began studying more seriously, experimenting with her own herbal mixtures. 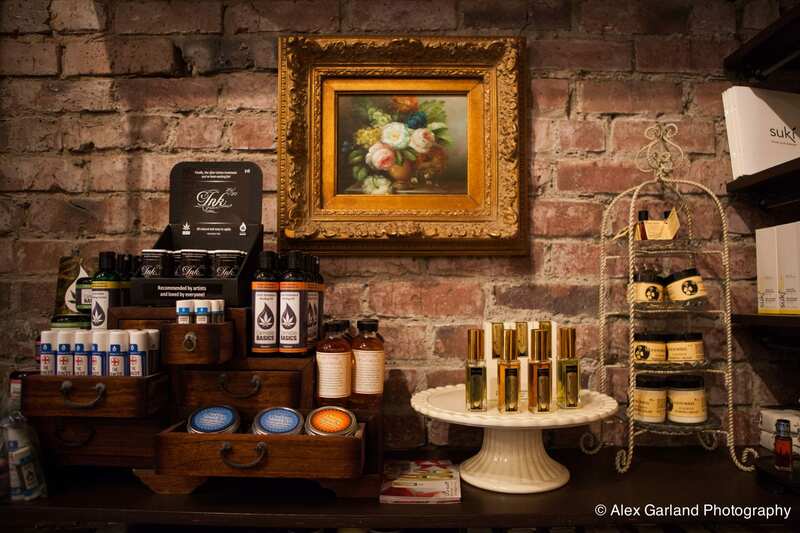 She spent 13 years at Capitol Hill’s Rainbow Remedies before deciding to open up her own shop. You can learn more at sugarpillseattle.com. · Glittersweet bags: Elegant, quirky, and high-quality. They’re made from colorful, sparkly vinyl with hand-sewn appliqué. · Out Front Gardens: Charming containers of herbs and Northwest native plants. · Sad Shop cards: Sweet, sad greeting cards. · Crescent Moon Designs: Delicate jewelry that is elegant and feminine but practical enough to wear everyday. · A Reader’s Book of Days: A literary almanac, called “terrifically fun” by the Boston Globe and “a book to live by” by Ann Patchett, written by Seattle dad and Jeopardy champion Tom Nissley. This entry was posted in News, etc. and tagged retail by Bryan Cohen. Bookmark the permalink. Sugarpill is such a great addition to the Hill, totally charming, unique and indie. Lovely, lovely shop. And Karyn herself is so involved in the Capitol Hill community – the sign of a truly savvy and compassionate business person. Wishing both she and the shop long life and happiness. Long live Sugarpill. Karyn and Sugarpill are gems on the Hill. Simply walking through the shop somehow feels therapeutic. I visit regularly, and I’ve heeded her suggestions with excellent results. She also has some beautiful jewelry, and Sugarpill has become one of my gift-shopping stops. No Quack alert here! Have you been in her shop, or talked to Karyn? She and her business have been a wonderful addition to the neighborhood, go QUACK ‘yer self! Good for you for sticking up for her, Cranky Old Man. Far too many people are closed minded and quick to shout out insults at those in the alternative health care field. So silly. Agree that the shop is absolutely beautiful and inviting.